Results from research into Americans' diet habits haven't been good. We're consuming more calories than ever, many of them from unsaturated fats, and as a result, we're getting fatter and unhealthier. But if a person should decide to improve his or her diet and eat the foods doctors and dieticians recommend for better health, would it be enough? Actually, there is strong evidence that the fruits and vegetables available to most people today don't contain the nutritional value they had about 40 or 50 years ago. 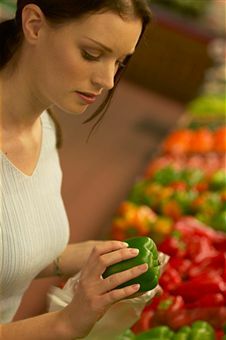 In 2004, a University of Texas research team headed by biochemist Donald Davis, Ph.D., analyzed a U.S. Department of Agriculture report on 43 common garden fruits and vegetables and found that almost half of the substances containing minerals important to good health had lost some nutritional value. Davis said in a university news release that at first, his team didn't evaluate individual fruits and vegetables but found the nutritional declines in the plants as a group. "Considered as a group, we found that six out of 13 nutrients showed apparently reliable declines between 1950 and 1999," he said. The nutrients Davis's team identified as losing at least some measurable value were protein, calcium, phosphorus, iron, riboflavin and ascorbic acid. The declines ranged from 6 percent for protein to 38 percent for riboflavin. Why did this happen? As best as Davis can determine, the nutritional value in some produce was diluted through faster methods major agro-farm companies employed to grow high-yield crops to meet consumer demand. Davis continued studying what he termed the "genetic dilution effect" and was able to identify specific high-yield crops that had declines in nutrients. "According to U.S. Department of Agriculture (USDA) nutrient data, calcium content of broccoli which averaged 12.9 milligrams per gram of dry weight in 1950, had declined to only 4.4 mg/g dry weight in 2003." And in a study of much longer duration, Davis reported that in wheat and barley crops, protein concentrations declined by 30 to 50 percent between the years 1938 and 1990. Cooked vs Raw: High heat and water can destroy up to 30 percent of nutrients found in raw fruits and vegetables. Sautéing, steaming or even microwaving healthy produce can minimize nutrient loss. In fact, in some instances, cooking increases the potency of nutrients by aiding in the break down the cell walls of the plant. Cooking increases the availability of antioxidants typically found in carrots, spinach and tomatoes. Fresh vs Frozen: When it comes to superior taste and nutrition, fresh fruits and vegetables from the garden are always best. But by the time your "fresh" produce reaches your local grocer, it has had plenty of exposure to air, heat and light -- enough time to diminish its nutritional value. Frozen produce, which is usually flash-frozen quickly after picking, can be just as nutritious and can last for about a year. Canned produce is the least favorable option as most of the produce vitamin content is destroyed by high temperatures used in processing or lost in the water in the can. Canned fruit packed in in high calorie syrup should also be avoided. Juice Plus+ helps us bridge the gap between what we do eat and what we need to eat, in terms of daily fruit and vegetable intake. Juice Plus+ is now 25 years old and is the world's most thoroughly researched wholefood-based nutritional product. You can learn more about Juice Plus+ and the medical research behind it here.